Rt Hon Kenneth Clarke MP proposes staying in the EU Customs Union despite his party manifesto rejecting the idea. Today, MP’s embark on another set of ‘Indicative Votes’. They will start debating at 3.30 pm and vote at around 8.00 pm. The result will be known at 9.30pm. Here is what they will be voting on. Staying in the EU’s Customs Union is favourite to win. 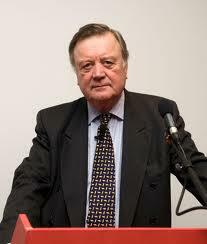 Its proposer is Ken Clarke MP. Yet Mr Clarke, and all the other Conservative MPs who voted for it last Wednesday, stood for Parliament on the Conservative 2017 Manifesto. which said on page 36: ‘As we leave the European Union, we will no longer be members of the single market or customs union … ‘ Even Labour’s 2017 Manifesto only wanted, ‘the benefits of the Single Market and the Customs Union’ on page 24, not the actuality of either. Leavers on last Friday’s walk. 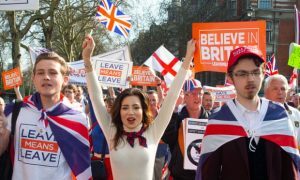 A second referendum is also gaining ground. 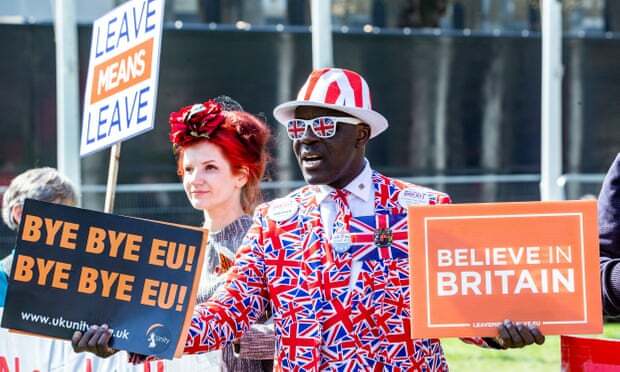 Its proposers in one form are Labour MPs Peter Kyle and Phil Wilson and in another, Labour’s Graham Jones and Tory Dominic Grieve, who lost a confidence vote in his constituency last Friday. And yet the 2017 Labour Manifesto said ‘Labour accepts the referendum result.’ (Page 24.) 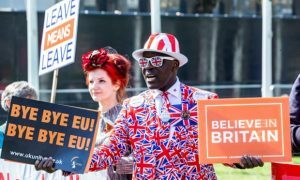 The Conservatives said: ‘Following the historic referendum on 23rd June 2016, the United Kingdom is leaving the European Union.’ (Page 36). Psalm 15:1 LORD, who shall abide in thy tabernacle? who shall dwell in thy holy hill? 2 He that walketh uprightly, and worketh righteousness, and speaketh the truth in his heart. … 4b He that sweareth to his own hurt, and changeth not. Eccl 5:4 When thou vowest a vow unto God, defer not to pay it; for he hath no pleasure in fools: pay that which thou hast vowed. Matt 5:37 But let your communication be, Yea, yea; Nay, nay: for whatsoever is more than these cometh of evil. So pray the MPs will keep their word, reject the Customs Union and the Second Referendum. Pray the Government stay firm and pray the UK will leave the Revived Roman Empire on 12th April 2019. The Daily Express reports Eurocrats salivating over the ‘Customs Union’ prospect and hoping they can corner the UK inot the status of a vassal state post-Brexit. 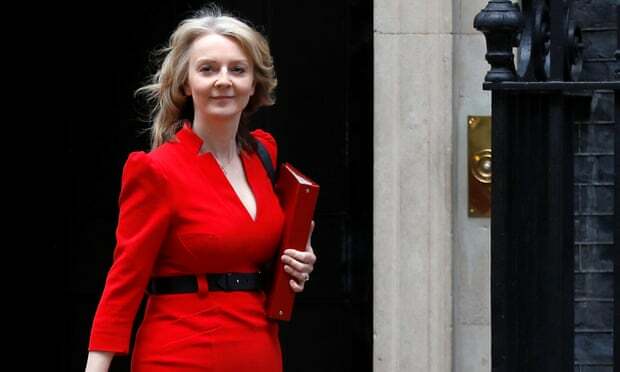 In the Guardian, Cabinet Minister Liz Truss makes the obvious point that being part of the EU Customs Union would rob the UK of any power over our future trade policy. She will support No Deal, she says. Mark Francois MP told Conservative Home the Government were ‘bluffing’ to try to get their Withdrawal Agreement through last Friday. 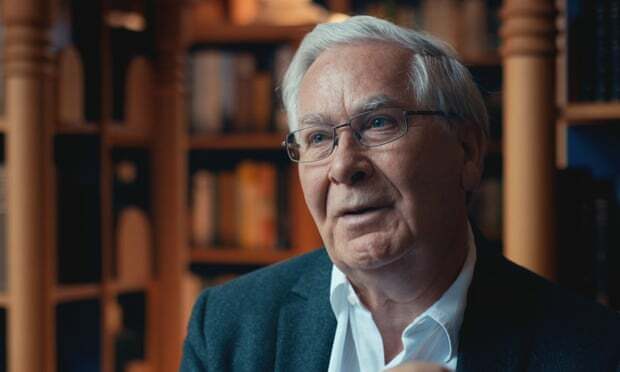 Former Bank of England governor Mervyn King says the ‘UK should leave EU with no deal’. The Guardian reports Brexit supporters blocked roads around Westminster that day. While Conservative activists – the ones the Party needs to walk the streets and bring their vote out on 2nd May in the local elections, let alone if Euro elections happen on 23rd May, are overwhelmingly pro- ‘No Deal’. Here is all you need to know about the European Union’s spiritual foundation. Well said. On another point, I remember May informed Sturgeon (SNP) after she claimed the Scots voted remain that the referendum was a United Kingdom vote. What is May wanting to do now about N.Ireland! she wants them to accept the backstop which makes them differ from the collective United Kingdom leave vote outcome. What hypocrisy. 1) Who ever knew what was in the manifestos ? 2) Who remembers it now ? 3) How many other things promised in manifestos do not happen as planned ? Some of us think it is important for the stability of society for human beings to keep their word. You may think that, I couldn’t possibly comment. In practice, it’s impossible for a political party to keep to “their word” for all the promises in the manifesto. Even if they sinceretly intended to, and didn’t even get carried away (never mind just trying to win the election), circumstances change. They might expect to have loads of money to give to needy people, only to find that they’re unexpectedly at war with Iraq, for example. Phew – every one has been blown out of the water. Some were close, but still, it means they can’t be voted on again, so surely they must have covered just about everything now. Have the Westminster politicians checkmated themselves? It would not surprise me. To the outside world, we have become a laughing stock. Children in the market place, toying with this proposed avenue and that avenue. Why does not Jeremy Corby have the stammer to go for another ‘motion of no confidence’ in the government as under the 2011 Fixed Term Parliament Act, he may well win the first hurdle under the mechanics of this act. This then should set the pigeons flying among the conservatives and make them move within 14 days to adopt what the people voted for to save their seats and replace May with a true bexiteer . May said no deal was better than a bad deal. Did she have an advanced prepared ‘no deal’ strategy that did not tie us to the customs union. Obviously not. I suppose Jason means the stammer to go for another “m m m motion of n n n no c c c confidence” . You might well vote for some other party, and would the existing MPs want that to happen ? They might not want this election. Oliver Letwin is in charge!